Before Saturday's match (embarassment!) against Iceland I was asked about an article on our attendances and how recent successes (!) have affected them. Thankfully, I remembered someone else had already done this! Frankly, I'm still not convinced of the accuracy of the IFA's attendance figures. The game against Iceland on Saturday had a reported crowd of 14,500, despite several hundred empty seats in the Railway Stand! During the infamous goal drought under Sammy McIlroy attendances actually improved. 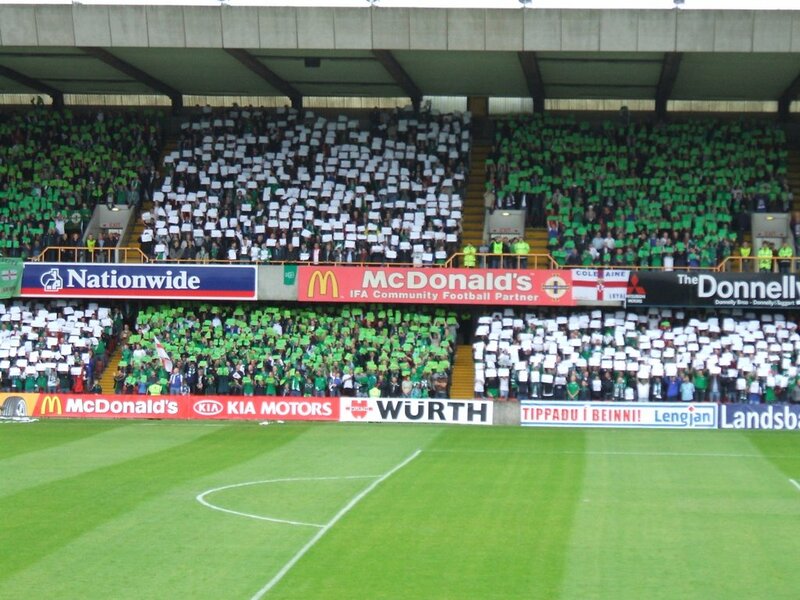 Credit for this must go to various fans groups and the IFA for working to improve the atmosphere at Windsor Park. Another factor must surely have been the siege mentality that developed, or the "car-crash" viewing that were some of the team performances. 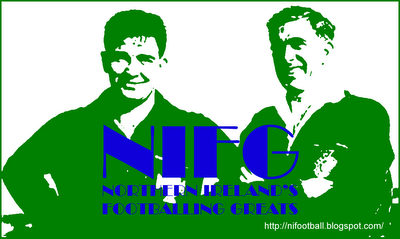 Certainly the atmosphere at some of these games was superb as the fans rallied around their embattled heroes. What is fairly evident under Sanchez is the effect of the 2006 World Cup qualifying campaign. Demand for tickets for the England (and to lesser extent Wales) game ensured Block Bookings were sold-out, and an almost maximum attendance was guaranteed at each game. The linking of a friendly with Canada to guaranteed tickets for the Anniversary match with Germany ensured an otherwise run-of-the-mill friendly had an attendance over 11,000. Attendance at a friendly match against Estonia then ensured Block Booking seats for the Euro 2008 qualifiers, which inevitably sold-out following the feel-good factor achieved in the last campaign (through both results and atmosphere). 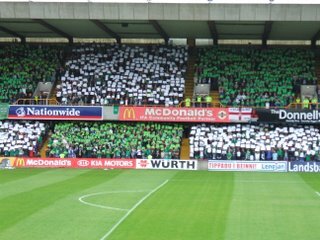 This clever ticket allocation and improved marketing has enabled the IFA to take advantage of a favourable World Cup draw held almost three years ago now, and ensured Windsor Park will be bulging for at least another year into the future. Update: The average home attendance for the Euro 2008 qualifying series was exactly (ahem) 14,500.